This bench top pull and tear dispenser holds two rolls of veneer tape side by side. The water hopper and fabric roller applies just the right amount of wetness to gum veneer tapes. 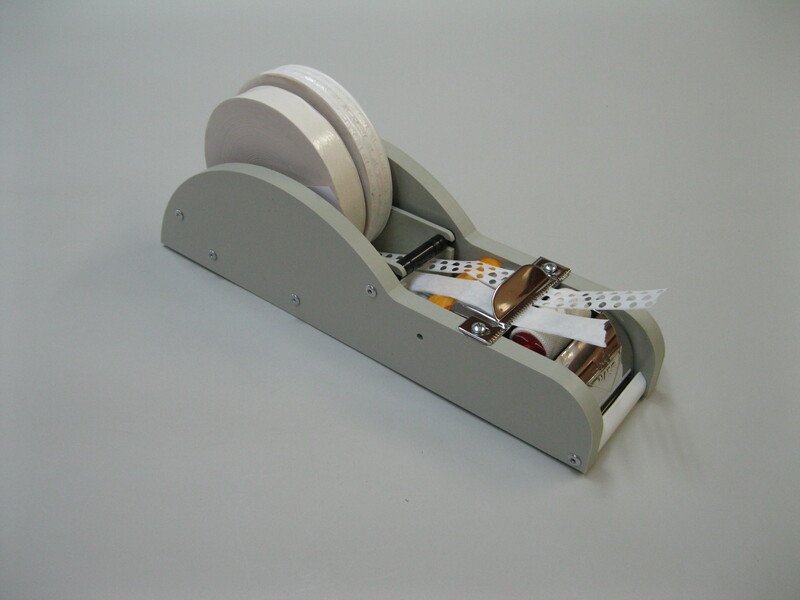 For shops regularly using veneer tape this dispenser makes it a pleasure.